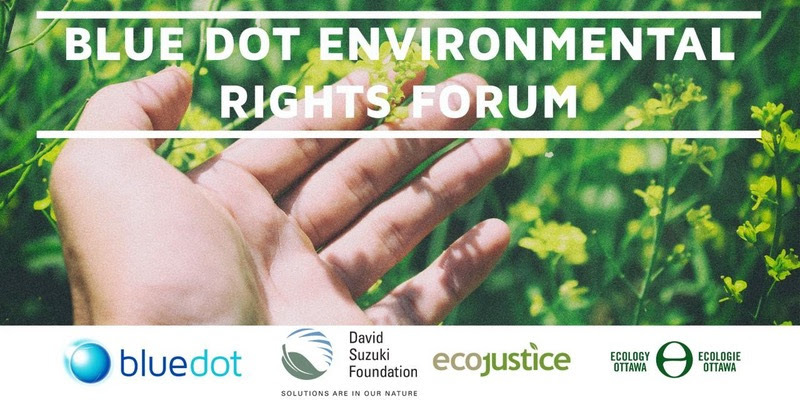 Join the David Suzuki Foundation, Ecology Ottawa and Ecojustice for an interactive, multimedia forum about the future of environmental rights and responsibilities. Over the past 50 years, environmental rights have been the fastest-growing body of human rights law internationally. In 2016, Ottawa joined 150 other municipalities in the Blue Dot movement and passed declarations recognizing the rights to a healthy environment. We have a historic opportunity to ensure everyone in Canada has the right to clean air and water, safe food and a stable climate. Come find out how! A special video message from David Suzuki! Ticket: $10. Get your ticket here, or at the Ecology Ottawa booth at the Great Glebe Green Garage Sale. ← Volunteer opportunity: the Great Glebe GREEN Garage Sale is back !